Twenty-five years ago, Neil and Pegi Young founded the Bridge School, a Bay Area institution for children with severe physical and speech impairments, with the hope of giving these children the ability to communicate. The school’s groundbreaking work, aimed at fostering “a life without barriers to education, participation and communication”, has since made it an international leader in the field of augmentive speech therapy and changed hundreds of lives. The annual all-acoustic benefit concerts for the school, at which Neil appears every year even if he’s not appearing anywhere else, have become a highly anticipated Bay Area tradition as Young has convinced his famous friends to un-plug and lend a hand. 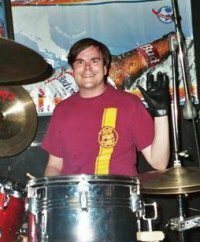 Besides obvious suspects like Bruce Springsteen and Willie Nelson, Young’s gotten everyone from Nine Inch Nails to Green Day to David Bowie to re-think their catalog for a stripped-down stage. It’s common for artists to dig deep and pull out songs they haven’t played live before that suit the un-amplified format, or bust out with impromptu collaborations (there’s a great bootleg recording of Young, John Mellencamp and Tom Petty barking out a garage-folk version of Dylan’s “Everything Is Broken” that really should make it out one day), making it one of the most unique festival experiences you can have. With the release of The Bridge School Concerts 25th Anniversary Edition, a handful of these moments are now captured for posterity. Some were made available on iTunes a couple of years ago via the four volumes of The Bridge School Collection but have their first physical release here, while the rest, including some from last year’s show, have been unheard until now. Like an expanded version of a typical lineup, it’s a diverse pool with something for everyone. There’s plenty of dreamy, quiet songs of course – Fleet Foxes out-CSN’s CSN on “Blue Ridge Mountain”, while Radiohead’s Thom Yorke turns “After The Gold Rush” into a delicate firestorm. Acts like Sarah MacLachlan, Gillian Welch and Jack Johnson are plainly in their element here, as is Willie Nelson on a hypnotic, tragic reading of “The Great Divide” with a moaning violin accompaniment. Tony Bennett, whose inclusion surely caused some “WTF?” eye-rolling among regular attendees, is straight up gorgeous on “Maybe This Time”, justifying his inclusion as much more than a novelty. But the presence of barn-burners like Sonic Youth and Metallica adds some necessary sandpaper grit to the mellow proceedings, while old-timers like Paul McCartney and the Who show determination to get fists a’raising. Elton John and Leon Russell offer a stomping barrelhouse boogie with full horn section, and Jonathan Richman’s “I Was Dancing In The Lesbian Bar” busts out into breakbeats at its climax. Sonic Youth sound great in this incarnation, the roaring feedback stripped away, leaving only those intricate webs of notes ringing out, finding clarity without losing momentum. The event’s gracious host makes several appearances, with a superb Crazy Horse rendition of “Love And Only Love”, a pristine, shimmering “Déjà Vu” with CSNY, and a guest slot with REM on a ten-minute workout of ”Country Feedback.” As a long-time follower of these proceedings, I could quibble over the choice of performances – where’s the duet with Bert Jansch on “Ambulance Blues”, or the epic jam on “Change Your Mind” that’s long been considered by Crazy Horse fans one of the most essential bootleg recordings in existence? But it would be silly to let quibbles over what COULD have been included overshadow what is here, which is very good indeed. So while the 25th Anniversary set is not, and never could have been, anything close to a comprehensive statement about the festival’s entire twenty-five years, it’s still one of the more worthwhile live albums you can buy, and a document of a truly rewarding tradition. I was there the first night the Who played, the first time they’d ever taken the stage as an acoustic act. While it was obvious that they had not exactly over-rehearsed for the occasion, it was one of the edgiest, most thrilling performances I ever saw them give. Besides pulling out rarely heard surprises like “Mary Anne With The Shaky Hand”, they exhibited a real connection on stage, a willingness to disregard the program and just make music together in the moment, that I hadn’t seen in twenty years. You can hear it in the recording of “Won’t Get Fooled Again” on this set. For their previous two tours, the Who had been in danger of becoming sidemen in a Vegas revue of their old songs, but on this night, they relied on eye contact and instinct, and once again sounded like an actual band. Earlier that day I’d seen Brian Wilson, on his first tour after a twenty-five year absence from public life, get a standing ovation from 25,000 people and been moved to tears; had seen Young do a haunting version of a favorite obscurity, “Southern Pacific,” on banjo. I had seen Tom Waits do a spellbinding show to a grumpy, impatient audience, had witnessed the first appearance in a year by a presumed-disbanded Smashing Pumpkins, and a Lucinda Williams set that had Young and Emmylou Harris acting as side players. I’d seen Green Day sound pretty much like they usually do but without so much distortion, seen Pearl Jam take the unplugged concept and run with it, reworking several of their arena roof-raisers into back-porch ballads, and had my first favorable reaction to Sheryl Crow. But the sight of the Who playing like a band again was one of the greatest things I’ve ever seen, and it gave me a renewed respect for the all- acoustic concept as a chance for reinvention, even by people whose basic concept has been set in stone for so long, it’s taken for granted. That’s the real value of this set, the chance to hear favorite acts taking familiar tracks in a new direction, allowing the possibility of new things to discover in the artifacts of another time. The Bridge School Concerts 25h Anniversary Edition is available as a 2-CD and 3-DVD set from Reprise Records. The DVD contains some of the same performances plus additional ones by Bob Dylan, David Bowie, Patti Smith, Tom Petty, and Simon and Garfunkel. We recommend you get both. 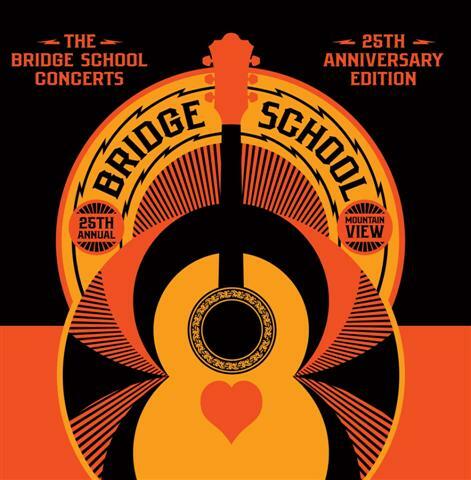 This year’s Bridge School concerts take place at Shoreline Amphitheater in Mountain View, CA on October 22-23, with Eddie Vedder, Dave Matthews, Los Invisibles featuring Carlos Santana & Cindy Blackman Santana, Beck, Mumford and Sons, Tony Bennett, Diana Krall, Jenny Lewis and of course, Neil Young. Tickets at Ticketmaster. Hey Bob, you forgot to mention one thing about that Who performance — it didn’t start until about midnight, pushing the end of the day to about 1am. (I’m pretty sure it was the longest Bridge day on record.) But the ‘oo sure woke up anybody who may have been tired by then! It capped the best Bridge day I attended or heard…. That 1999 Bridge School show is still my favorite concert of all time. How does it get better than that?